Garage Door Roller Services - Columbus, OH - Low Rates! Garage Door Roller Services in Columbus, OH! Garage doors are very complicated and go beyond just pressing a button to open or close it. These doors have many moving parts that need to work together for an efficient performance of the door. The torsion system, for example, relies on bearing plates, torsion tubes, drums, torsion cables and the torsion spring to open the door. If any of these parts have a defect than the door will probably not open and when it does it can cause a fatal damages or injuries. One part of the garage door that usually causes the door to function improperly is the garage door rollers. If they are in bad shape, then your door isn’t going anywhere. Garage door rollers are by design partially locked into the track which curves up at the bottom to hold them in place. They aren’t very complex, but they usually cause a lot of problems. 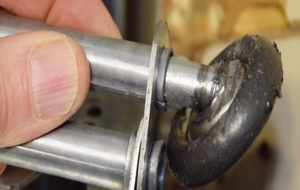 Here are few common issues with garage door rollers and how to fix them. Garage door rollers are typically plastic or nylon if not steel with just a stem. Every time you open or close the garage door, you must put them into use. It is said that your door moves up and down for more than a thousand times in a year, so there are chances that your roller will break, and it can be very dangerous if it does without your consent. A Broken roller can and should be replaced by your door expert because replacing them involves tension and the weight of your door and if not careful handles can cause severe injuries. The roller may not be broken, but it might be worn out, and when it is, it can cause a lot of problems with the door leave alone making an obnoxious noise. The best cause of action to a worn out roller is replacing it. It would be a good idea to replace with a new version of the roller; you can exchange metal roller for nylon one to avoid problems associated with noise. Replacing garage door rollers should be done by specialist especially if the roller is at the bottom. You can easily tell that your garage door roller is literally off the track. Sometimes it might be as a result of something falling on to the track, or it just got bent accidentally. Either way, an obstructed track will cause the roller to come out of it. Some garage doors mitigate this problem by having an electric eye that ensures that the door track is clear but putting back into its position can solve a problem associated with obstructed track. Putting the roller back into its position may seem to be a simple task, but it isn’t, a professional door expert should do it. A stuck roller can back off your day, and even with regular garage door maintenance, this is a common problem. A roller that is stuck is a security danger and need an immediate evaluation. If they get stuck, a professional expects will do an assessment and do the necessary action, but prior to that, you can use a small brush soaked in kerosene and that way the roller may be ‘un-stuck’. You can also check on the metal track and ensure that it isn’t the problem. Since rollers spend lots of time in motion and carry lots of weight, there are times that the roller stems can be bent. 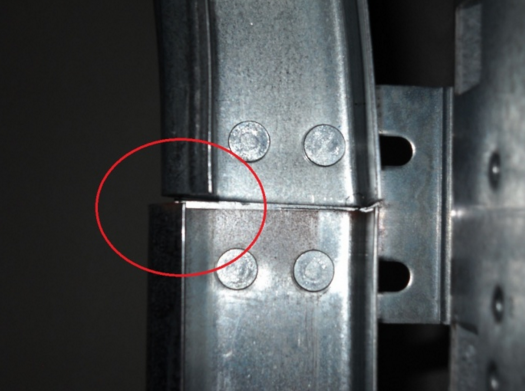 This is a common issue many homeowners do not realize that it actually impacts the performance of their door. 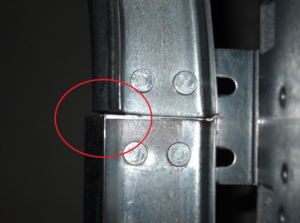 During maintenance routine, your professional garage door expert may notice a bent roller stem and may repair it, if he thinks it is going to improve the door performance. The size, material and the diameter of the roller stem matter a lot when it comes to the performance of the roller. It is imperative to choose the best garage door roller carefully. We have three types of garage door rollers, i.e. nylon, plastic and the steel rollers. For many residential homeowners, nylon rollers are optimal; however, they are expensive, but they can accommodate heavy doors, without making noises if stuck. Steel rollers are typically used in commercial assemblies, are strong and very durable. The common problem occurs if your door is equipped with plastic rollers. Rollers with plastic wheels tend to wear down on the thread of the wheel, and later the thread wears down making the diameter of the wheel so small that, it can pop out of the track anytime. They do great at the beginning, but it would be worth considering replacing them with nylon or steel especially if your door has a lot of weight and is exposed to frequently open and closes. Accumulated dust, dirt, and grime are common problems on garage door roller, and they reduce the efficiency of the door roller by up to 50% percent. Many homeowners try to solve this issue by applying lubricants which makes sense sometimes, but it may or may not be the best cause of action. A door expert can give you the most effective technique for doing away with the accumulated dirt for good. These are just but a few of the common issues with garage door rollers, but there are many more that you cannot notice, but a professional door expert will. The best way to deal with most common problems with garage door rollers is by replacing them with a new one. Some issue, however, can be handled without replacements, either way attempting to do any by yourself poses a grave danger of injuries. In case you are confident to do the job yourself, and you are qualified to do it, it’s good to keep in mind that the full weight of your door rests on the roller when the garage door is on up position, and when the garage door is on the down position, the weight of the door rests on the bottom edge of the door, not the roller. My roller kept coming off the track, so I called Columbus Garage Door Pros and they came to check it out. It was slightly bent so they replaced it and now it works perfectly. Thanks!